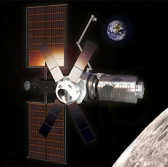 Maxar Technologies’ SSL business has received a contract from NASA to perform a four-month study on a module designed to provide propulsion and control for the agency’s deep space gateway project. SSL said Wednesday it will conduct research and design the power propulsion element as the first module for the deep space gateway concept that seeks to build a lunar-orbiting spaceport that will serve as an access point to the deep space and the Moon. The PPE system will work to deliver maneuvering, communications, power, initial docking and attitude control capabilities for the proposed gateway. 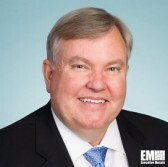 “SSL is committed to advancing key space technologies and architectures that will lead humankind toward a new frontier of space exploration,” said Richard White, president of SSL’s government systems business. White added the contract provides the company an opportunity to demonstrate its systems in support of NASA’s missions. SSL will leverage its solar electric propulsion experience and Roll Out Solar Array system to help NASA build a platform that will work to move the PPE into its orbit. The company has qualified the ROSA design for integration with its SSL 1300 satellite platform following tests on the International Space Station.